MARY HOFFMAN is the internationally acclaimed author of over 100 books for children, ranging from picture books to teenage fiction. Her first picture book for Frances Lincoln, Amazing Grace, has become a classic which, with its sequels in the series, has sold 1.5 million copies worldwide. Mary's other picture books for Frances Lincoln include The Colour of Home with Karin Littlewood and An Angel Just Like Me with Cornelius van Wright, as well as the hugely successful The Great Big Book of Families, The Great Big Book of Feelings, and Welcome to the Family, all with Ros Asquith. Their next title together will be The Great Big Body Book. Mary Hoffman lives in Oxfordshire. For more information about her books visit her website: www.maryhoffman.co.uk Caroline Binch's illustrations for Hue Boy, written by Rita Phillips Mitchell, won the Smarties Prize. 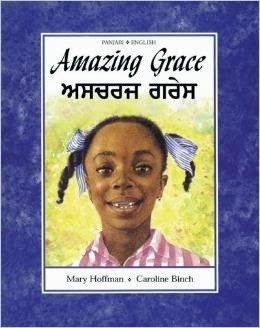 She illustrated the bestselling story Amazing Grace and several other Grace stories by Mary Hoffman. Gregory Cool, which Caroline wrote and illustrated, was shortlisted for the Kate Greenaway Medal, and her Since Dad Left won the United Kingdom Book Award in 1998.